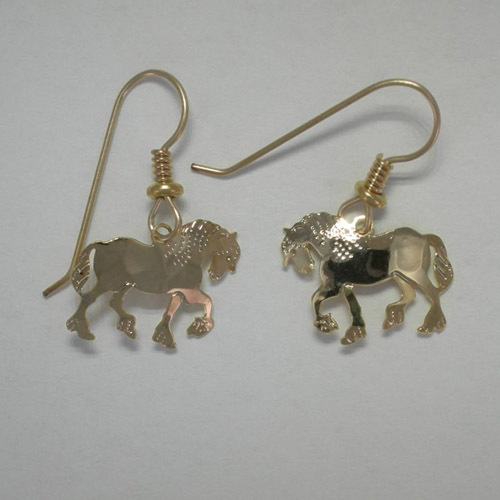 Desc: 14 karat yellow gold plated small Clydesdale dangle earrings. Each Clydesdale is trotting and has an arched neck with flowing mane and tail. The earrings have light hammered and bright polish finishes. The earwires are 14 kt. yellow gold filled. Also available in rhodium plating and as a necklace (contact us for details).